Why would private equity firms want to buy their way into the insurance arena? That question has been puzzling a lot of insurance professionals in the field and in the home office, ever since they no¬ticed that more private equity firms are cutting deals with insurers. 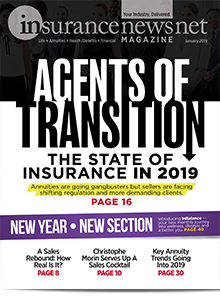 Some, including Guggenheim Capi¬tal, Harbinger Group and Apollo Global Management have already bought an-nuity-focused carriers in the past year or two or entered into reinsurance arrange¬ments. Other private equity firms are said to be nibbling at the edges of life insur¬ance operations. Insurance professionals find this sur¬prising because the return on equity (ROE) for insurance companies has not been exactly stellar in the past few years. The historic ROE range for life and annuity insurers is roughly 10 to 15 percent, according to valuation experts, but in recent times, the percentage for some has been in the single digits. In fact, Aswath Damodaran, a pro¬fessor of finance at the Stern School of Business at New York University (NYU), has a chart that puts the average ROE for life insurers at 7.4 percent, as of January 2012. The average is for 29 carriers, based on updated data from Valu Line. Some carriers may be doing better, of course. For instance, a recent survey from Accenture found that 68 equity analysts from 16 countries are expect¬ing to see an average pre-tax ROE of 14.9 percent for 2012 from insurers to which they have assigned “buy” ratings. That’s up from 13.7 percent in 2011. This is on a global basis. Then again, the 20 largest global insurers had an aver¬age pre-tax ROE of just 11.8 percent in 2011, the New York consulting compa¬ny says. So stretching to a ROE of near 15 percent in 2012 may be, well, a bit of a stretch. Many private equity firms prefer to buy when the expected ROE, for established companies, is closer to 20 percent. Since insurance operations, even in good econ¬omies, are typically below that, this makes the “why” question intriguing, to say the least. 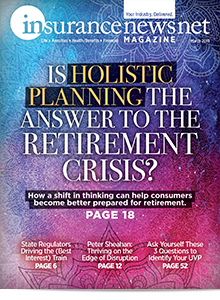 The question is especially relevant, since life and annuity carriers have been battered in the past few years by low in¬terest rates, market volatility and other fi¬nancial storms, to the point some carriers are exiting lines of business, limiting sales, and/or curbing policy features, develop¬ment, growth plans and more. Gus Cheliotis, a vice president and investment counsel from Harbinger Group, provided some answers during the recent LIMRA annual meeting in Chicago, based on his own company’s perspective. Harbinger is a New York-based private equity firm that bought Fidelity and Guaranty (F&G) Life from Old Mutual in April 2011. The firm also has a “reinsurance platform” in Bermuda, he said. On the bargain side of things, Che¬liotis pointed out that Harbinger pur¬chased F&G at 35 percent of book value. Some other private equity firms have bought insurance operations within the past year at 90 percent of book value or close to book value, he said. “Prices are all over the map,” he said. But bargains are still available — and it’s a bargain that Harbinger wants. That’s not all this private equity company wants, though. It also wants to buy insur¬ance companies that are compatible with its own business model. 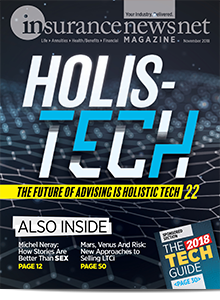 Cheliotis said his firm takes a long-term view toward keeping its acquisitions rather than the traditional five-to-six year period that many other private equity firms use. Harbinger does not intend to flip F&G within a short time, Cheliotis said. That’s a point he said the company made with regulators when in explaining the company’s intentions. Regulators do ask about flipping, he said. Other elements of the firm’s business model include: The company focuses on the balance sheet, and grows book value and net asset value via bottom-up cred¬it investing, rather than growing assets under management and generating fees, he said. It also focuses on capital struc¬ture, and it relies on a strong manage¬ment team not only to execute but also to follow through after the acquisition has been made. It prefers to leave op¬erations to the business itself, Cheliotis added. 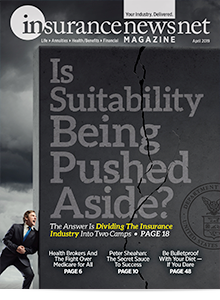 Many insurance people do get the lure of a bargain and even the desire for busi¬ness model compatibility once they hear about it. But why buy during difficult times when some carriers are even exit¬ing segments of the business? Cheliotis did acknowledge the chal¬lenges facing the business such as in¬creasing regulation, historic low in¬terest rates, increasing shareholder activity, and industry reactions that vary from active defense to market exit to watch-for-opportunities. But he also said that the current climate actually represents an opportunity for non-traditional buyers such as his firm. Today’s conditions will likely persist for the near term, so this is a good time to look for acquisitions, he indicated. The opportunities Harbinger likes, he said, are “distressed sellers, a short time frame, and firms that often make an-nouncements about how desperate they are.” He limited that preference to firms with asset-intensive liabilities, where the assets have long durations and are rela¬tively predictable and where the firm can exploit its business model and manage¬ment expertise. The result, he said, was that “we were able to preserve our distribution.” That will be important “when it comes time to step on the gas,” he added. An executive from Aquiline Capital Part¬ners of New York City could not make the LIMRA session due to October’s super storm Sandy, which devastated parts of that area. But it is possible that if this executive could have also spoken, or if other private equity officials were also there, they would have offered additional, and perhaps different, reasons for sniff¬ing out insurance opportunities. Some private equity players may even have reasons to avoid investing in in¬surance businesses. One of the biggest reasons may turn out to be the tough economy—the very same factor that Harbinger views as helping to open up buying opportunities. Consider: Nearly three quarters (71 percent) of private equity analysts polled in the Accenture survey (cited earlier) believe investment volatility is the big¬gest threat to North American carriers, followed by new regulations and reform (52 percent). 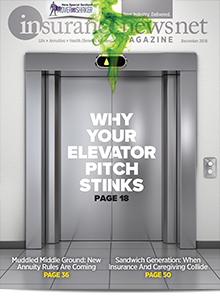 In addition, nearly all of the more than 1,600 private capital lenders, investors and business owners identified “domestic economic uncertainty” as the biggest issue that private equity business¬es currently face, according to a survey from Pepperdine University’s Graziadio School of Business Management. It’s safe to say that Industry watchers will peel back every deal that does occur, looking for impact on markets, distribu¬tion and sales. The industry doesn’t mind competition. 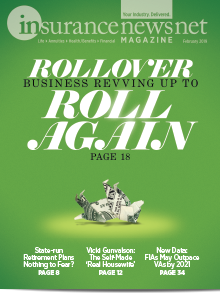 Established insurance firms just want to know what to expect from the new players on the block.